Protein kinases and phosphatases are intracellular signaling elements, which orchestrate the appropriate assembly of synapses and, thus, of the intercellular communication system in our brain. This chapter illuminated a number of molecular mechanisms governing protein kinase and phosphatase signaling with respect to synapse formation. In the introduction, the synaptotrophic hypothesis was forwarded, and consistent with this idea that neuron geometry involves synapse formation, we expected to find congruence of kinase signaling with respect to neuritic and synaptic growth. Indeed, activation of the kinases discussed here and summarized in Table 1 promotes both neuritic and synaptic growth, irrespective of the neurotransmitter phenotypes, GABA or glutamate. However, it should be considered that a functional diversity of kinase activation can be found when dissecting neuritic and synaptic growth with respect to the recruitment of postsynaptic constituents and their functional fine tuning, once a synaptic contact is physically established. For example, PKA and PKC activation promote synaptogenesis both at a neuritic and synaptic growth level, but both PKA and PKC restrain the postsynaptic recruitment of AMPARs and NMDARs, respectively. 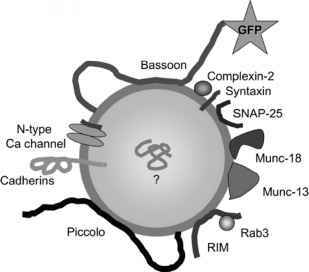 Therefore, synaptic growth, i.e., the assembly of scaffolding molecules to novel synaptic skeletons, might coincide with increased somatodendritic surface areas; however, only those skeletons that are equipped with all elements required for synaptic transmission would acquire a full functional status. Derailment of kinase function underlies neurological disorders, such as Alzheimer's disease. Therefore, therapeutic possibilities emerge, as we understand more of the molecular world of protein kinases. However, as kinases are the elementary intracellular signaling units beyond the blood brain barrier it remains to be shown whether pharmacological manipulation of kinase enzymatic activity tuned out to effective in the medication of such diseases. One of the main take-to-home messages of this chapter is that appropriate protein kinase signaling is the result of tightly regulated shifts in the temporally and spatially highly ordered balance between kinase and phosphatase enzymatic activities. Considering the diversity of protein kinases and their highly intermingled signaling machinery it will certainly be a major task in future research to fully understand this intracellular world of protein phosphorylation.